Wow! There was a buzz in the hall this morning. 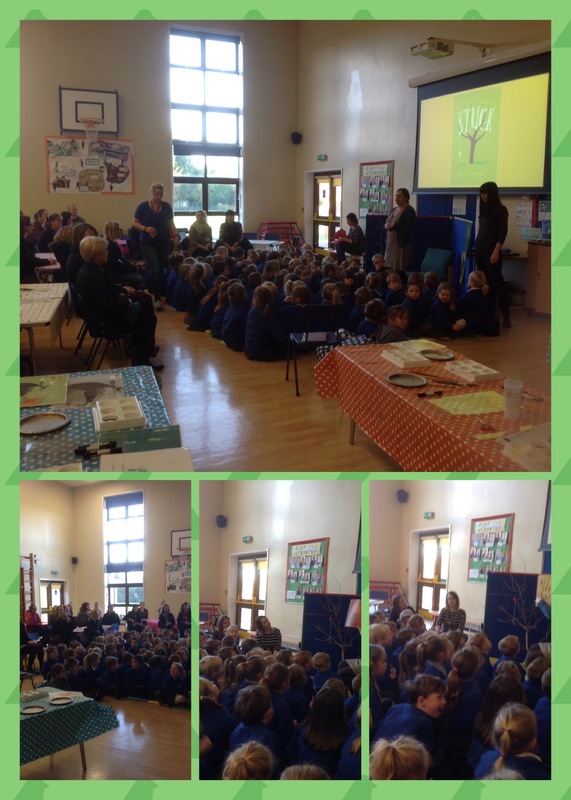 A good number of parents and grandparents came to join us to enjoy Mrs Cairns reading Stuck, her favourite book by Oliver Jeffers. Her reading was very interactive with children joining in and adults clearly enjoying it too, judging by the laughs. 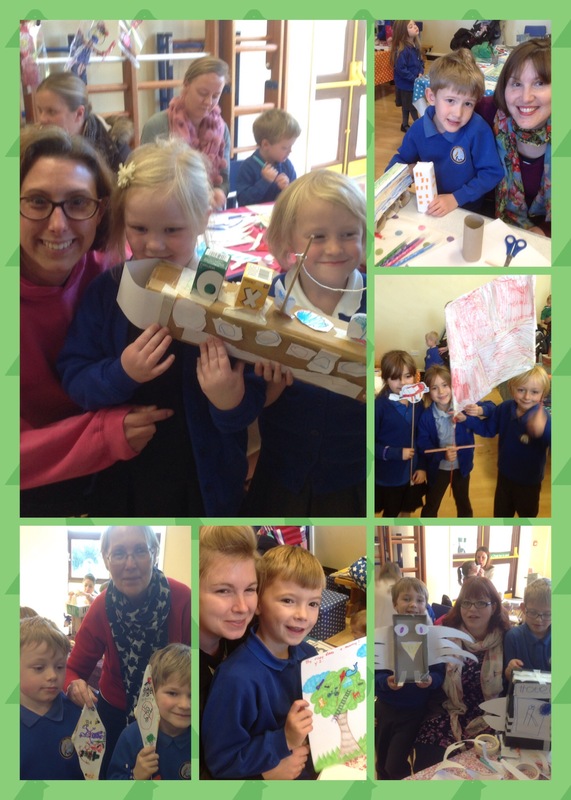 Afterwards, it was full steam ahead as children painted and junk modelled the various objects that Floyd, our character, had chucked up into the tree in a vain attempt to get his kite down. 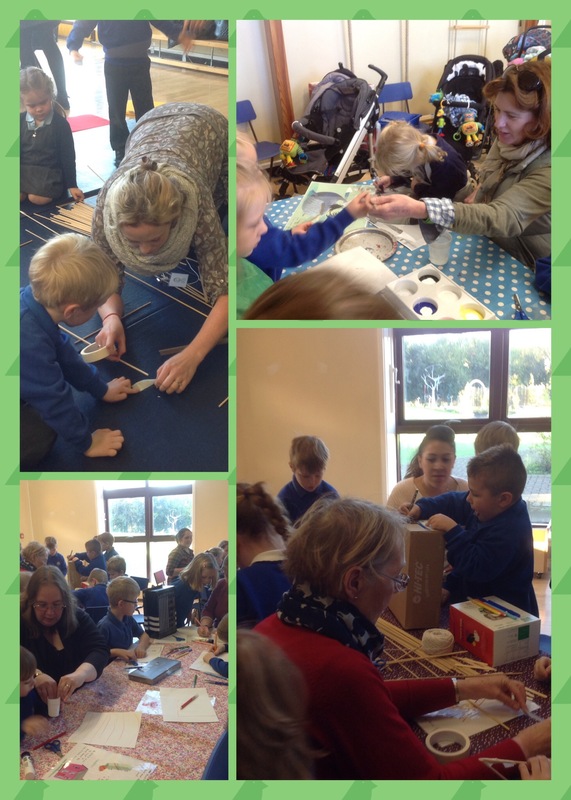 The creations are amazing and lots of fun was had by all. 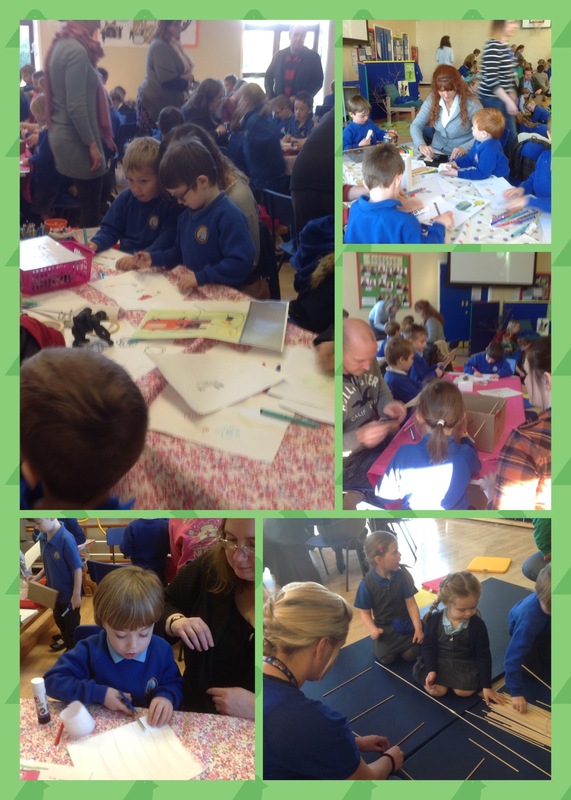 Thank you to the parents and careers who gave up a morning to support this wonderful event. We really enjoyed the morning. The best bit was listening to my teacher read. She was very good and made me happy and laugh! 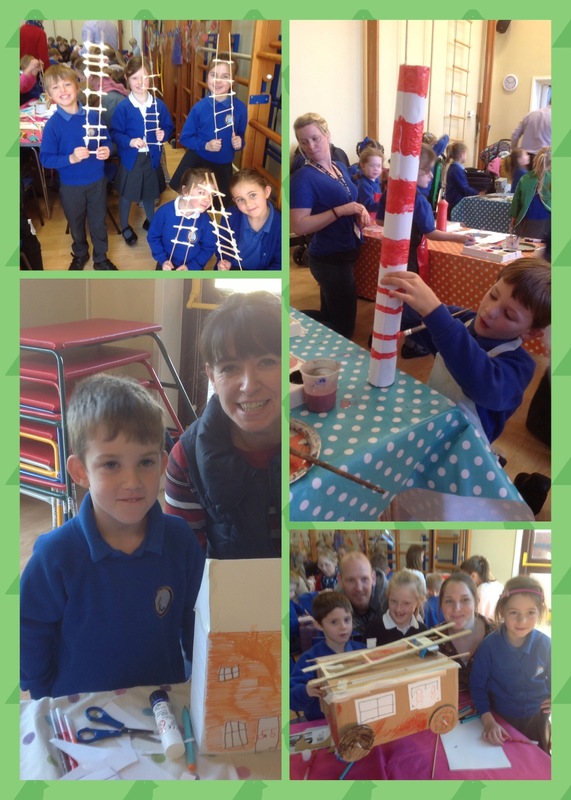 I also loved building a house to chuck in the tree and the other craft and the biscuits!